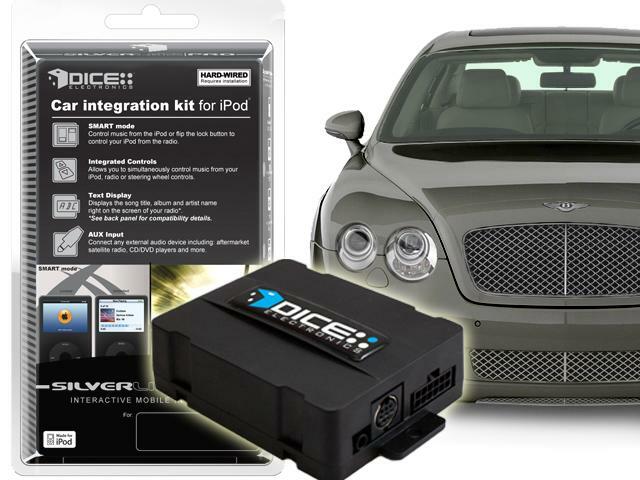 Factory iPod integration for your Bentley! This hard-wired connection offers the highest sound quality possible, features great browsing features through your head unit, text display and charging! Features: Line level audio output, smart browsing features from head unit/steering wheel controls (when available), displays song/ artist/album/playlist on screen of radio (if Cd text display compatible), charges all iPod models (12V/5V), fully tested and approved by Apple, Inc.
Connect, control and listen to your music library with your car's factory sound system. Stream internet radio and audio from various iphone apps! 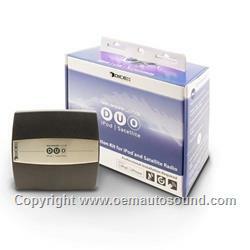 Integrated audio and track controls with your factory car radio. Control your iPod as you would a CD changer. Connect your Mp3 player, portable satellite radio tuner or other device with audio output capabilities. Easily control your iPhone from the remote. Hidden installation leaves your car looking as it did from the factory but with more entertainment options. 1.External CD-changer, if equipped , must be disconnected. No text support. Only 2 units in stock 03-19-19 we are not going to see this part anymore.